Much is made of those who like to cook -- TV cooking shows, cooking magazines, cookbooks, and cook shops proliferate to the glory of the cook – but not much of anything at all is made of the non-cook. And this perhaps serves non-cooks right: We are being ignored in response to our non. After all, how are you supposed to advertise to someone who is not doing something? How are you supposed to manufacture something for someone who is not buying? How are you supposed to suggest taste and culture to someone who isn’t really paying very much attention? Yet just because we defy a marketing campaign doesn’t mean we don’t exist. The non-cook population is numerous and diverse – a force to be reckoned with, if we could get our act together. The League of Non-Cooks. The United League of Non-Cooks. The United League of the Brother and Sisterhood of Non-Cooks? If non-cooks organize, imagine the not cooking we could do. Imagine the support, the comradery, the cracker munching, all the not cooking related things we’d talk about at off times of the day, between meals, since we wouldn’t really be having meals, per say. 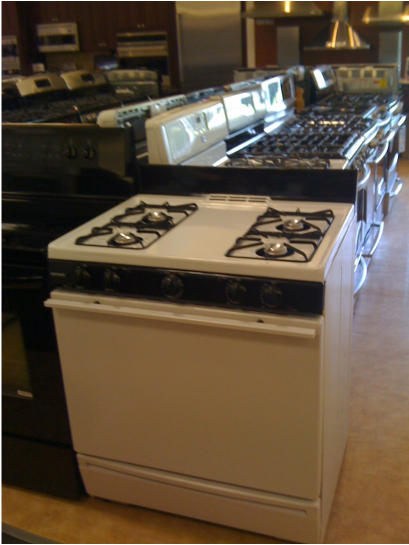 Imagine the gas and electric we’d save, rarely turning on our ovens, mixers, blenders, & etc. Go green the non-cook way! Goodbye to overcrowded utensil drawers cluttered with unnecessary cooking implements with which we do not cook. We’re cleaning house! Hello liberation from the Tyranny of Food Preparation. Gone would be the fancy-pants cooking stuff. Here comes breakfast cereal for dinner! Gone would be the non-cook guilt. Ditto the shame. Here comes tomato soup from a can with some popcorn on the side, and maybe a sliced up apple. I am totally happy with that, are you? Gone would be the non-cook fear and anxiety over attempting to cook for others. Let us revel in the not cooking, no longer isolated and disenfranchised, no longer muddling through without the support and legitimization we need to be the best non-cooks we can be. We may be left out of a whole cultural movement, but check it out, we have our own! Let us rock on with our peanut butter and jelly sandwiches. I think it tastes really good if you toast the bread. If ever the dream of non-cook solidarity is to be realized, non-cooks must first gain recognition. We must be acknowledged! Just that, for starters. And not the patronizing, 2nd class, “simple cooking for non-cooks” kind of recognition, but actual useful recognition on our own terms: not related to food. So, who is the non-cook anyway? Well, who is the non-cook you know? Your mom? Your dad? Your younger sister? Your best friend’s wife? Your favorite cousin? Your girl friend, only you’re trying to teach her to cook? Is your boss an Executive Non-Cook? Is your brother a Bachelor Non-Cook? Is your husband a Mega-Cook Spouse Non-Cook? Is your best friend an Anxious Non-Cook who has the kind of disturbing dreams where she is trying to follow a recipe but only has strange substitutes for the ingredients and doesn’t know what she’s trying to make? All these types and so many more, including Excuse Type Non-Cooks who aren’t really embracing their status as non-cooks to Unwitting Non-Cooks who aren’t actually aware, to the confident confirmed No-Cook Non-Cook, who is out and proud, resolved to get around cooking however she can. In other words, we are a rag tag bunch with little to unite us. We don’t have a section in the bookstore. We don’t have a Google group. We definitely don’t have a network. We barely have an organizing principle, except for the not cooking, and even that is iffy: what about the Cooking Non-Cook, who cooks because she must and in spite of strong feelings of non? What about the Part Time Non-Cook, who comes and goes in his commitment to not cooking, at times a resolute take out type, at times turning around and going crazy over crafting the perfect gumbo? What about the Hypothetical Non-Cook, a yearning sort of personage who breaks one’s heart, for she would be a non-cook if only for this or if only for that. The non-cook is complex. The non-cook is not cookie cutter. The non-cook experience is one of rugged individualism; we fail to cook using nothing but our bare hands. But listen, the non-cook does not live in a vacuum, isolated from society. We can not cook, or wish we were not cooking, or fail to cook well in the best company. Plenty of people will vouch for that. You’ve seen us shirk. You’ve seen us procrastinating making dinner to the point of no return, also known as frozen pizza. You’ve seen us freaking out, scrambling around, recklessly substituting ingredients for ones that no respectable cook would run out of in the first place, and company is on the way, and the place is a mess, and the smoke alarm is going off. You’ve seen us totally mess up a routine pasta dish. The non-cook has witnesses. We’re definitely here, and we don’t really look that good. And so on the recognition front, we non-cooks must take the matter into our own hands and do a little PR. We must transform our failure into our clarity of purpose, which is to not cook. And on top of that, to quit getting all nutted up about it! We must lead by example, not cooking with a sense of peace, inner harmony, and personally integrity. It’s sort of like being on a raw food diet, only sometimes you have to heat it up, defrost it, or put it in the microwave. With the support and strength of solidarity, we will join together in our non-cook ranks, not cooking with forthright abandon, not cooking into the sunset. After all, don’t too many cooks spoil the soup?